It was President Trump vs the Fed and chairman Jerome Powell this week. The President caused a stir when he questioned the Federal Reserve’s monetary policy. It was something of an unprecedented move. Since the Federal Reserve is independent and separate from the federal government, it broke the standard norm of the relationship between President and Fed. Trump’s sharp words towards the Federal Reserve had to do with the continued, gradual raising of interest rates. The Fed is projecting another rate increase in September, and it could be making the dollar less competitive, which is why President Trump isn’t a fan. Trump disapprovingly contrasted the dollar’s resiliency to the declining Euro and Chinese yuan. Have a listen here. Trump: I don’t necessarily agree with raising rates from CNBC. What this means for investors: So what did gold do this week? After the President’s words, gold jumped about $14 and the dollar’s raging strength fell back. Silver had a similar spike. Uncertainty over policy and the possibility of pressure on the dollar were the reasons for this. Overall, gold had a slightly stronger week this week than last, but is still battling the headwinds of the strong dollar. On Friday, positive economy growth (at 4.1%!) stats triggered a pullback on metals as well. Is Trump 2 Steps Ahead or Behind? In the Trump vs the Fed drama, who has the upper hand? It turns out it isn’t just Trump who doesn’t like the rising interest rates. In fact, he’s far from the only one. Analysts – including some Fed officials – have been wary for some time of rates rising too fast. Timing is everything with rising rates. In an economic environment strong enough to handle them, they are stabilizers. However when they go up too fast, it sets off a chain reaction. Higher borrowing costs lead to less spending, which in turn leads to recession. This is what Trump is afraid of right now. He has good reason to be. Look at what happened during Herbert Hoover’s Presidency. Rates were rising, government spending increasing, tariffs set off a trade war, and the chain reaction culminated in the market crashing. Right now, the markets have dropped when rates have gone up. If the Fed loses control, a big market crash is going to be ultimately blamed on the President. 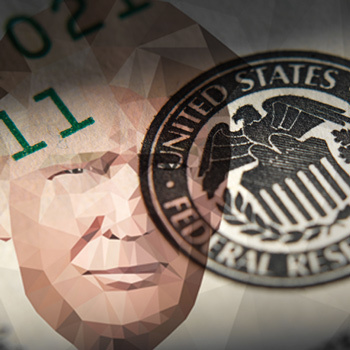 The question now is whether Trump is going to be able to get ahead of the Fed now (as he is trying to do) with his caution, or whether monetary policy might undercut him. What this means for investors: Regardless of how Trump’s confrontation of the Fed plays out, just taking on the Fed in this unprecedented way is going to increase uncertainty in the markets. The Friday growth numbers were positive, raising optimism in the markets. But if Trump is right on the rising rates, it’s time to think about preserving your wealth. How often (if you have one) do you check the contents of your deposit box at your bank? Recently, some Bank of America customers realized not often enough. A Bank of America customer in California went to check her box of 16 years only to find it had disappeared and the bank had no explanation where the jewelry and coins it stored had gone. Another customer had her possessions (some of which were damaged) from her deposit box mailed to her randomly in a plastic bag with no explanation. Yet another family had their items shipped to them in a similar manner, but with $17,000 worth of jewelry missing. While Federal rules allow banks to drill safe deposit boxes when there is a court order, search warrant, delinquency on fees, or requests from estate administrators, these actions were unprecedented and inexplicable. What this means for investors: If you’ve been storing your precious metals or other valuables in a bank safety deposit box, now may be the time to consider other options. 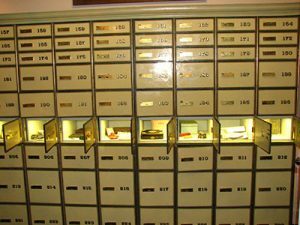 While it is true that the cases here are not the norm for safety deposit box holders, is it worth the risk to give a bank control over your valuable assets? There are other options for storing your gold or silver safely. Consider a deposit box at a private vault (many of which have 24 hour access) or a secure, home safe storage system. If you have any questions on home or private storage, our advisers are happy to discuss with you. The stock market’s bull run has been painting a rosy picture for some time now. Certainly it has made many investors excellent returns. However, Ron Paul, a longtime market bear, cautions that we are still in a bubble, and its the biggest one yet. According to the former Congressman and Presidential candidate, the underlying problem is debt and a fiat currency. Have a listen. There’s a bubble building in markets that will burst, Ron Paul says from CNBC. Problem viewing the video? Click here for the direct link. Although it appears gold is being shunned by investors right now, world powers continue to gobble it up. Russia, for example, is dumping US bonds and buying gold. In 2010, it was one of the world’s top ten holders of U.S. debt. Since March, its treasury holdings have dropped from $96 billion to $14 billion. 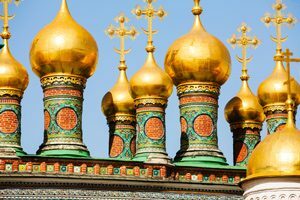 In that time, Russia has overtaken China as the largest holder of gold. In beleaguered Venezuela as a socialist economy collapses with a worthless currency, famine, and medicine shortages, sanctions against Venezuela are leading the government to start refining gold in Turkey. The South American country is rich in oil and gold, and gold mined in the south is sent to Turkey to be refined and then returned. Venezuela is using gold to shore up its reserves that have tumbled since the economy’s implosion. What this means for investors: The dollar won’t remain the world reserve currency forever. Increasingly, nations are looking for other options. Gold is so far the option of choice, as it has been for centuries.